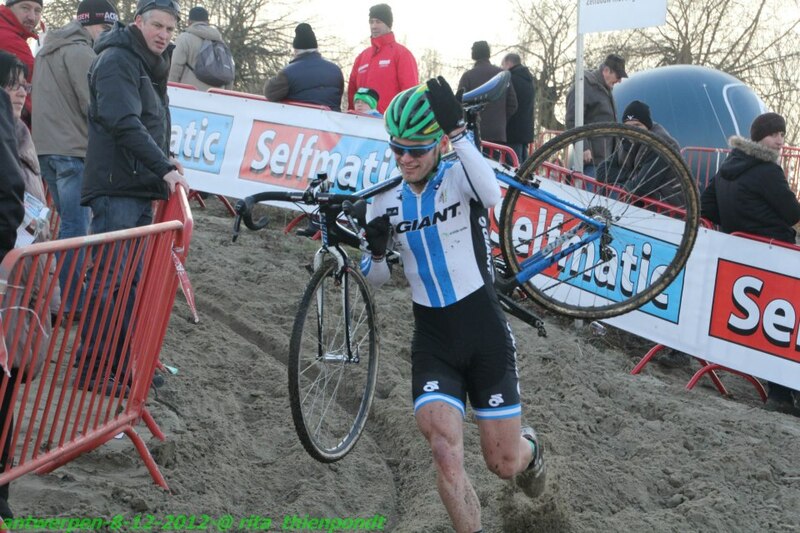 Lewi Rattray's CX Blog: Scheldecross, club racing, Sports2 Nutrtion. Scheldecross, club racing, Sports2 Nutrtion. Sorry for the delay between posts, I had intended on posting a link to my write up for Roubaix, but got distracted and ultimately forgot. I wrote a piece on the Cycling Tips website detailing my trip and covering the race. There are some excellent photos on there, its well worth a flick through. A nutrition sponsor from last year, Sports2 has kindly returned to support my CX season again. Rudi has kitted me out with some of their awesome new gels, protein/recovery powder, hydration powder and oxivit multivitamins. This is top quality nutrition! Thanks Rudi! 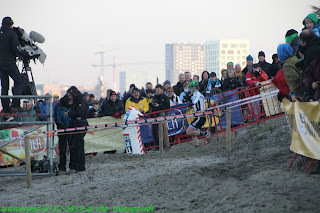 Last weekend was a UCI C1 race called the Antwerp Scheldecross. C1 is the highest classification below the World Cups, but it's a little less stressful as there isn't any need for attending managers meetings the day before etc. The weather that week had been pretty atrocious, but thankfully the rain stayed away for the race. It was bloody freezing though! I'm sure it was below zero. The course was right on the shore of the river, with some long sandy sections, a stair run up, a short climb and some barriers. I wasn't the only foreigner racing on the day, there was also a Greek rider who had raced a superprestige race last year, and a U23 Hungarian rider racing on a domestic Belgian team. Due to my 45 UCI points, I wasn't called up as one of the last riders for a change, but with all the heavy hitters I was still in the latter part of the start grid. The gun went off, and my first few pedal strokes had me holding my position, before the screeching of brakes on carbon rims rattled me and I began to lose places. By the start of the sandy section I was around 5th last, and somehow my rear brake cable had popped out, most likely after being bumped by someone elses bike when throwing it on my shoulder. I rode as best I could with only a front brake, but by the time I swapped bikes, the riders in front had a sizable gap. The course suited me as much as one of these courses can, there were no ridiculous descents, but just not quite enough riding. I raced my own race, trying to keep the gap to the riders in front consistent, and occaisionally being able to gain time on them. The course wound past the beer tent, and I started playing up for the crowd, getting plenty of cheers both at the beer tent and in the sand. My antics even got me some TV time! I actually achieved my best result in terms of time before being pulled. I raced for 50mins of the 1 hour race, ending up just 2 laps down in 37th, beating the Hungarian and Greek riders. I would have liked to be closer to the other riders, but it's relatively reassuring. This weekend we headed out to a club level race, about an hour from home. Set around some grassy farmland where there were cabbage, leek and other vegetables growing. The course was almost dead flat, with the thickest stickiest mud imaginable. There was a 300m section of the stuff which was rideable, but just about quicker to run. The course was actually pretty good, plenty of corners, a sand section, a barrier and heaps and heaps of mud. The FMB Super Muds were in their element, shedding most of it. I didn't really know what to expect in terms of the field, but figured I should be able to mix it up with the front runners. This kind of race is perfect practice for me, as I'm just too bloody nice on the bike. I need to learn to be a little bit more assertive and hold or improve my position particularly from the start, which is a weak spot for me. There were 20 odd riders in A grade with me, and another 50 or so in the other grades that started with us. The first 3 rows were called up, and I hopped into the 4th row when the grid was opened up. Off the start I was sitting in about 10th position and had to fight my way past plenty of young guns who were not keen to let me past! They had their elbows out and they'd cut me off, but it's not different to the World Cup races when you're in the thick of it, so the practice is worthwhile. After the second lap I was able to catch the 3 front runners, and we gradually managed to drop 2 of them after a number of laps. A rider's Dad was there yelling enthusiastically for his son, riding in front of me, and as I rounded a corner on the outside I noticed he was pushing the bunting inwards, trying to force me into the thickest mud! 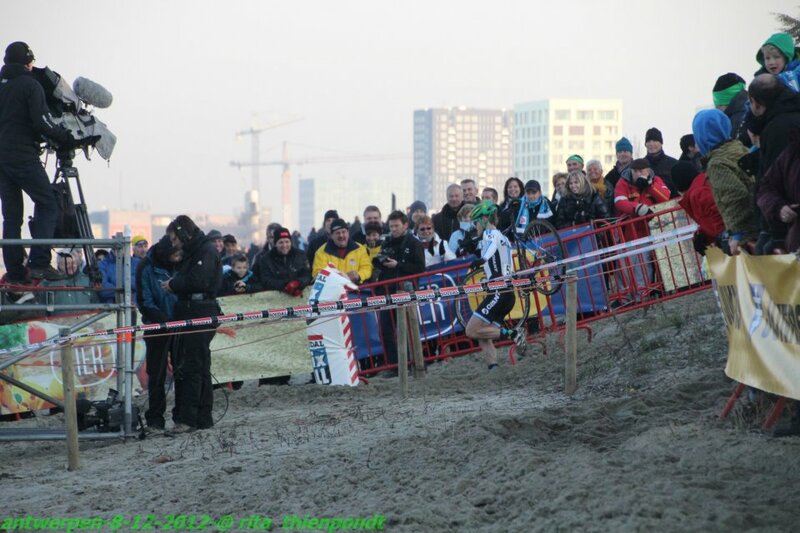 I guess you'll always have crazy sport parents, be it on the footy oval in Australia or a cross race in Belgium! By the time there was two of us, we both had stints on the front. He got away from me in the first half of the laps, accelerating out of the corners exceptionally well, and I'd catch him in the second helf, managing to hop the barrier and power through the straights a little faster. In the end he pipped me by 20m or so. I'm still chasing an elusive win! It's something I'd love to be able to say I've done; won a CX race in Belgium, but hopefully it's only a matter of time. They had a doping control after the race, which was pretty interesting as I've never done one before. I had stage fright though and couldn't pee with some guy staring at me, so we had to wait a while before I could try again. It was all very formal and proper, the novelty soon wore off, but I can see why it needs to be done. I've got a very busy few weeks coming up. I'll be racing Sint-Niklaas on Wednesday, and haven't yet made my mind up regarding Namur. I'm leaning towards racing on the Saturday instead, giving me some more time to recover for the Heusden Zolder World Cup, which is only 3 days later. Namur is a mental course, and I'm thinking I'd rather conserve some energy to have a good race on a course that suits my abilities. Sweet riding Lewy. It was great seeing a small snippet of your running during the Scheldecross. Keep on working hard buddy! Following the rapid rise in the standard of Cyclocross locally, I will be competing in my second season overseas in Europe. I'll be racing World Cups, some Superprestige and B-Post Bank Trophee races, filled in with some local races here and there. If all goes well, I'll be heading to Louisville, KY to compete in the World Champs in Feb!